Do you ever have one of those books that you just know you’ll love, but they you start reading it and it seems to drag on and on without reason? I was incredibly excited to read The King’s Peace after reading Walton’s ethereal and introspective novel Among Others (seriously, if you haven’t read it, go do so, this instant! ), about a child who discovers the worlds of classic science fiction and fantasy novels as she goes through hard times in her life. Unfortunately, The King’s Peace contains none of the magic of Among Others. The story itself is a retelling of the legend of King Arthur. Now, I’m a huge sucker for King Arthur stories. Let that be known. And to make it even more fascinating, it’s set in a world where men and women are equal and either can have strong and successful military careers. I have a thing for kickass female heroines, which is one more reason why I really ought to have loved this book. 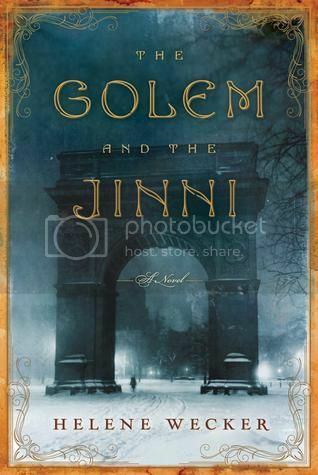 The protagonist, Sulien, is a young women whose village gets sacked. Bad things happen to her, and nothing is left to the imagination. Somehow she survives and makes it back to what’s left of her village, and she’s sent to ride for help. She encounters a skirmish, where she joins in the fighting and helps turn the tide. Turns out that Urdo, the High King (aka King Arthur) is leading the battle, and he makes Sulien an arminger. She begins a long career of being a badass and saving the kingdom. I had so many issues with this book that I don’t even know where to begin. I think my biggest problem with The King’s Peace is that I have a hard time identifying with Sulien. She never feels like a real person to me. The book is narrated in the passive voice, and Sulien’s character is flat. She cares about battles and not much else, but the battles are boring. I want to scribble in the margins, “Show, don’t tell!” Then there’s the fact that all of the names in the book are Welsh, and all are different enough from the names used in most versions of King Arthur stories that it’s really hard to keep track of everyone. This wouldn’t be a problem if we were given the opportunity to bond with any of the characters, but because of the issues with the passive voice and the general pacing, it feels like you’re reading a history textbook rather than a novel. The only scene in the book that had any sort of emotion or resonance at all was a weird scene in which a slightly older Sulien comes to meet her son whom she left at a monastery for nine years and never visited. It was hella awkward, because she didn’t know how to act around him, but even that felt forced. And the sad part is, Sulien’s character could have been so interesting. For one thing, she is asexual, which you don’t see very often in literature. Having a character who isn’t interested in romance can be refreshing if it’s done right. But instead, Sulien was so inacessible that you couldn’t really connect with her character. She has no depth, and seemed like a placeholder to tell the stories of other people, but those people weren’t fleshed out either. Jo Walton is one of those people who can write so well that you will be filled with nostalgia, with tears, with the sheer joy of reading, so I wouldn’t let this review discourage you from trying some of her other titles. I’ve got several on my shelf that I’m excited to read. Verdict: Skip this one, and read one of her other novels instead. I guess it goes to show just how far her writing has progressed since 2000 when this was published. It is so disappointing to get into a book you know you should love and you just don’t. It seems so cruel, for some reason. Sorry it didn’t work out for you, but glad you decided to pull the plug rather than keep reading and not only be disappointed with the book but with the amount of time you wasted reading it. I tried reading this book perhaps a decade ago, maybe more. I didn’t finish it either. I honestly can’t say if it was the space I was in at the time, or the book. I haven’t read any other Jo Walton works, so I don’t have anything to compare it to. A friend of mine really enjoyed this novel and recommended it. But perhaps I will try other Walton works before giving this another shot. I’d recommend reading “Among Others,” which is phenomenal. It’s a story about a little girl who is having a rough childhood and takes comfort in the worlds of classic science fiction novels. It made me want to read all the books.